Each stride is effortless in this short sleeve top for women featuring a soft round neck and relaxed fit for ultimate comfort while moving. The lightweight fabric is made with ASICS quick drying material, designed to promote dryness and breathability, and works together with burnout detail at the shoulders and back and side slits at the front hem, for ultimate all round comfort. An elongated rear hem gives coverage while the burnout number 77 on the back indicated ASICS establishing year. 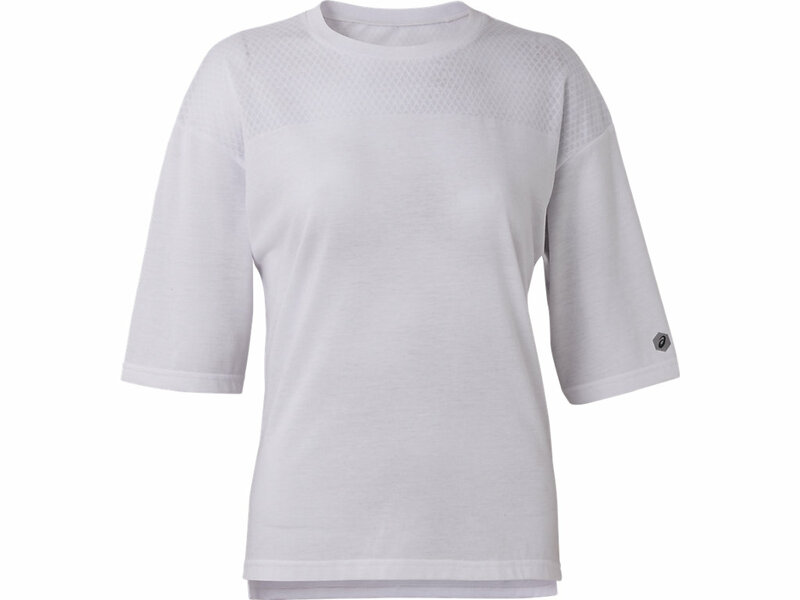 Short sleeves, small reflective detail and a drop shoulder construction make this t-shirt an essential part of any active wardrobe and ideal for any sport, from running to field.